Dietary Fat Are they good? How much to eat? Did you know that our brain is mostly fat and that fat must be constantly replaced? That all the cell walls are made of fat and the type of fat that we consume affects the quality of those walls? Also that fat is an immune protector? As most people believe, eating fat does not elevate your cholesterol in any way. Some studies show that eating a certain type of fats can cause diabetes and heart disease, but those type of fats are GMO fats like corn oil and soybean oil. The fact that eating fat is bad for you is only an old thought when the food pyramid was created and it was decided that fat is not good for you. But there are healthy fats and unhealthy fats. Cholesterol helps us heal the affected tissues and blaming the cholesterol because there is always cholesterol where there is a problem is like blaming the Band-Aid for the wound. 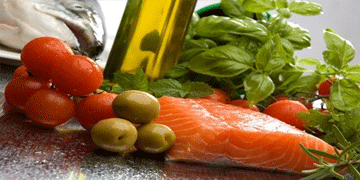 Eating fat provides the body the essential fatty acids, the fatty vitamins, the Omega 3’s and some Omega 6’s. The question is: Does eating fat will convert into fat in my body? Well – yes and no. It depends of what type of fats you consume. It’s not the fat the clogs up the arteries, it’s the sugar. I can recommend watching this video of Dr. Berg where he talks about How Much Fat to Eat. When I just started Keto I was so happy that I can ‘finally’ eat all that fat! Since I have always been in fat restricted diets, for me – Keto was a celebration! I did not do intermittent fasting straight from the beginning and I ate eggs and avocado for breakfast: I was eating a huge 4-egg omelet and vegetables with avocado oil and a whole avocado. I used to drink coffee with cream. I ate a handful of nuts. – After all – I thought that if you can have fat – let’s go for it! I was feeling nauseated. I did not think that it was because of the food. For lunch, I was preparing for myself (separate from the family) a big salad with seeds, eggs, avocado, all the greens and a lot of oil. However, I was not losing that much weight. I was losing a little – maybe a pound a week. So, I watched this video of Dr. Westman and I decided to make some changes. Instead of the omelet, I changed to hard-boiled eggs and some days I have avocado in the morning and some days I do not. Any egg that I eat is a hard-boiled egg and I learned to control the fat. I stopped eating nuts (they are dangerous because you don’t know when to stop). I am not nauseated anymore. Yes, fat is a celebration and the food tastes amazing, but all in good measure and nothing is unlimited. I had to make a calorie deficit on my daily calorie intake. Once I made these changes, my weight started to melt immediately. Some days (and I emphasize the some, because I do not eat this everyday) I feel that I did not have enough fat so I eat my ‘strawberry ice-cream’. Here is the recipe. I learned that the fat in Keto for me is like the dial on the radio. I can move it to either direction and I will see immediate results on the scale. As I understand it, nothing is unlimited. This is not a fat free diet, but for me too much fat doesn’t give me good results. Today, I am doing intermittent fasting for about 20 hours every day. I eat only one meal a day but I am capable of doing so by drinking in the morning an awesome fatty coffee that keeps me satisfied and satiated. "Health is the most important thing you have in life!" Contact me if you need support on your journey to healing with the ketogenic diet.